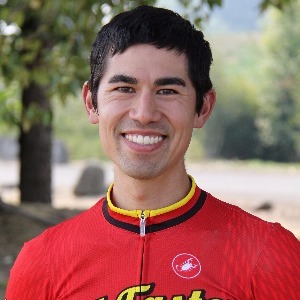 Andrew specializes in coaching cyclocross, gravel, road and mountain bike racing clients. He has also helped many ultra endurance athletes complete all day (10hr+ /200mile+) events. From beginners to seasoned veterans, Andrew has a thoughtful analytical approach that focuses on the details while helping to optimize training within your busy schedule. Andrew Coe of Portland, Oregon is a highly analytical, detail-oriented and observant coach who considers the big picture. His clients appreciate his understanding and love for teaching the intricacies of the sport of cycling. An endurance athlete with nearly 20 years of experience, Andrew has had success in road, cyclocross and mountain bike racing at all amateur levels in races across the country. Andrew’s experience racing in the Northwest and Midwest allow him to relate to training an racing in all conditions, from freezing and windy early season road races, to blistering hot and humid mountain bike races, to monsoon rain and muddy ‘cross races. He has coached a variety of athletes from seasoned veterans to beginning racers. Each of his clients comes with unique goals, whether being ready for a single event or having a full season of high level fitness. He specializes in assisting clients to organize their training schedule around their daily work schedule, including integrating bike commutes into the training plan. Andrew can help build the plan that will best fit your objectives while keeping life-balance in mind. This includes mental and equipment optimization as well. Andrew has instructed cyclocross, short track mtb, and road racing clinics and skill sessions. He utilizes workouts designed to help improve both fitness and riding ability, and is available for skills lessons in addition to training plans. Success. Coach Andrew Coe has been notified of your message.